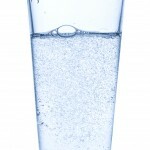 Alkaline, ionized water acts as a powerful and natural antioxidant. Because 60% of our body weight consists of water it is important to look at what type of water will benefit you the most. If you make fresh organic juice you will have an antioxidant with a -250 ORP. Yet Ionized water from a Chanson Water ionizer will give this ORP and lower AND you will be able to drink and enjoy as much as you need throughout the day without any negative side effects. When water is stored for over a day it becomes “dead”. By drinking your oxygen-rich, antioxidant ionized water straight from your alkaline ionizer you gain the most benefit.